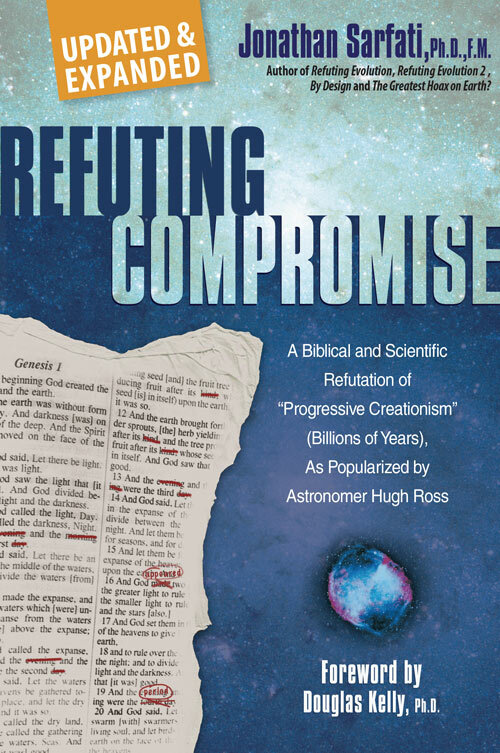 Biblical creation impedes evangelism? Plus yet another uninformed atheist. I first of all apologize for this email coming under the heading of scientific feedback. Really, it should feature under theological feedback as well. Well, theology used to be called the queen of sciences, reflecting the Christian presuppositions that led to the rise of modern science (see a recent feedback explaining this). I came across your website via a link to a video of a creationist stumping Richard Dawkins. I watched it because of a lack of respect for Dawkins work. Quite so. 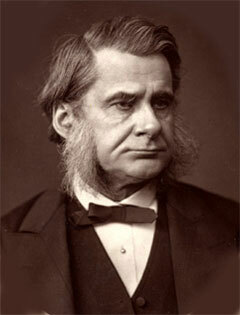 We have a number of articles on the Apostle of Antitheism. I am a physicist, but that doesn’t mean that I have to ignore other academic disciplines such as history and philosophy. I know what you mean. I am a physical chemist, but must study geology, biology and astronomy, as well as theology, for my work here. I have to confess a certain prejudice towards creationism. This is, I’m sure, a prejudice you have come across many times through different people. I am a Christian, who believes in Jesus’ resurrection, and believes that he died for our sins. I believe in a powerful God who can break the fundamental laws that I study. Or else, add to natural laws, which is how I regard miracles. However, I do not believe that God would leave clear evidence that the universe is a certain age if this were not the case. Neither would I, and He hasn’t—see The earth: how old does it look? I also don’t believe that He would give crystal-clear propositional revelation that He created in six normal-length days about 6,000 years ago, and that death is the result of sin, if this were not the case. There were plenty of Hebrew ways of expressing long ages and goo-to-you evolution if that were what He had intended, not saying something diametrically opposed to this—in time frame, events, order of events, and explanation of the origin of mankind and death. Obviously I cannot say anything about evolution (although I do believe in it) as I am not a biologist. Several feedbacks ago we cited Gordy Slack, an evolutionist himself, agreeing that “some proponents of evolution are blind followers”. One wonders how many other evolutionists believe in evolution because of “consensus”, unaware that the heads they counted to arrive at this consensus themselves arrived at it by counting heads. However, it seems quite clear to me that the universe is 12–14 billion years old, and the earth itself is some 4.5 billion years old (the former confirmed to me through my own calculations). Depends on what assumptions you made before you performed them. Here’s a simple example and some applications. My prejudice therefore was that creationism clearly tries to use pseudo scientific, crack-pot theories that have very little scientific merit. That’s a standard line of atheistic skeptics, which has sadly influenced some less discerning Christians to be wary of “young-earth creation” Christians. In reality, the skeptics are elephant hurling, and it is evolution that is grossly pseudoscientific. I am sorry to say that this position has not been completely reversed, but study of your site has led me to believe that you are thinking hard and rationally to overcome what you perceive as a conflict between the scientific and biblical accounts of creation. Good on you for at least perusing some of the articles on our website. However, you clearly have a long way to go yet with your “study” of our more than 6,000 articles available here, as many of these issues/objections you are raising are already answered on our site. I suppose this message transpires because of the problems creationism has caused me in any evangelistic work I try to do. Luke said Jesus came via Noah from Adam, who is called ‘son of God’ not the son of an ape-like creature or rearranged pond scum (Luke 3). But if the first Adam is a metaphor, then how could he be the ancestor of a historical Person like the Last Adam. So how do you manage to explain that Jesus died for our sins according to the Scriptures, as per the Apostle Paul in 1 Corinthians 15? Paul explained that Jesus was the last Adam, who came to conquer death brought by the first man Adam. In contrast, evolutionary theory entails there was no real first man, and that death long predated sin. A Gospel without Genesis is dangling, not anchored in the Scriptures. Who is Jesus? Luke said He came via Noah from Adam, who is called “son of God”, not the son of an ape-like creature or rearranged pond scum (Luke 3). But if the first Adam is a “metaphor” as many evolution-accepting Christians like to say, then how could he be the ancestor of a historical Person like the Last Adam? While your theories are not quite as crazy as it first seems, they do seem fairly desperate, and they are based mainly on conjecture rather than any rigorous proof (I realize this is going to cause offense, and I am truly sorry: I just think it is important to explain why I have a Christian objection to your stance). Rigorous proof is found in logic and mathematics, not science. But if you really want lack of rigor, try the evolutionary just-so story telling, accepted because of an a priori commitment to materialism, as Lewontin admitted. Non-Christians will understandably pounce on your arguments, and form opinions of all Christians based upon them. And these are unlikely to be favorable opinions. Indeed, just as our Lord, and His prophets inspired by the Holy Spirit, have warned (e.g. John 15:18–20, 17:14; Romans 12:2; 1 Corinthians 3:19; Colossians 2:8; James 1:27, 4:4; 1 John 3:13, 4:1–6). And it’s worth noting that non-Christians tend to form even less favorable opinions on Christians who don’t really believe their own book! For one example, take Dawkins, who thought it was barking mad to believe that Jesus would die to overcome the death brought by a symbolic Adam. In fact, if long ages were true (which means that the fossils existed before people), God must like such things as death, cancer and suffering—because He states, after people were created, that this world is all very good. But if He were looking at an ‘old earth’, He would be describing a graveyard of eons of cancer, suffering and death as ‘all very good’! Such evolution-compromising evangelicals are unwittingly sawing off the branch on which they (and all Christians) are sitting. One of our ministry speakers a while back was at a university meeting in Sydney, Australia. While he was talking to one of those ECEs (evolution-compromising Evangelicals), a student was keenly taking in the whole conversation, as the ECE ducked and weaved about all the inconsistencies in his stance. After a while, the student interrupted and said, ‘I have to leave now, but listening to you two, I want to say something. I’m not a believer yet, but you [pointing to the CMI speaker]—you make sense. As far as you’re concerned [pointing to the ECE], you’re full of it!’ With that he spun on his heels and walked out, giving a friendly ‘thumbs up’ to the creationist. I know that in my own experience when I was an atheist at university, the ‘compromisers’ got very little respect for their position from myself and my fellow (at that time) humanists. Evolution/long-ages is so obviously not what the Bible teaches that the various ‘woolly compromise’ positions on Genesis are seen as an obvious cop-out. ECE’s are often afraid that intellectuals will be ‘put off’ by a straightforward Genesis, but time after time we see the very opposite (think only of the 30 Stellenbosch University students that professed publicly receiving Christ after the CMI presentation, recorded on our new DVD Creation: The Key to Dynamic Witnessing.). I had heard many feeble attempts by Christians to try to weave the millions of years into the Bible, but they had turned me away from Christianity. These notions seemed not only highly contrived and “slippery,” they glossed over huge, glaring inconsistencies with what the Bible so plainly taught. … all my atheist/humanist acquaintances at the time thought the same. We held such seeming deviousness in contempt. Sonia: Creation magazine opened my eyes to the Gospel! I also remind you that the Intelligent Design movement also advocate downplaying biblical authority, yet the misotheists hate them just as much. So we may as well be hanged for a sheep as a lamb. 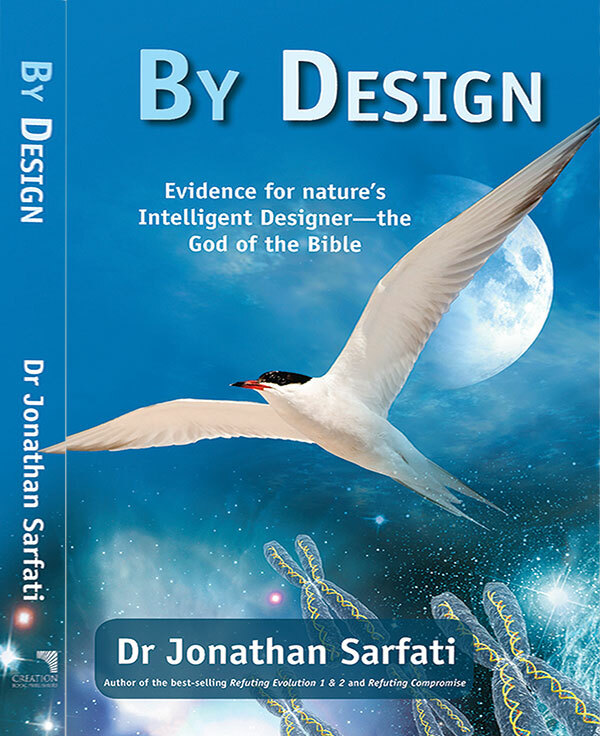 So my new book By Design is subtitled Evidence for nature’s Intelligent Designer—the God of the Bible (see below, and review here). I remember watching appalled at a recent University mission event, when four students were asked some questions about the creation after a talk on science and religion, and all four said that the world was created in 7 days. In that case, they were wrong, because God created in 6 days and ceased/rested on the 7th! Now, they are entitled to that opinion, but having a unanimous voice means that everyone in that talk would go away, assuming that that was the general view of all Christians, and therefore all Christians are ignorant. This is par for the course. Paul said that the message of the cross was foolishness to those who are perishing too (1 Corinthians 1:18). I think the 7 day creation was fine for Moses when it was told to him. It is either true or false. After all, humans need to know something about their world. And what God revealed to Moses was true, after a fashion. “After a fashion”?! This is double-talk. As I’ve pointed out before, there is a big difference between simplification and error. For example, a mother might tell her four-year-old ‘you grew inside my tummy’—this is not false, but language simplified to the child’s level (‘tummy’ as a broad term for the abdominal region, but not as specific as ‘uterus’). Conversely, ‘the stork brought you’ is an outright error. Applied to the Bible, it is not an error to use the earth as a reference frame, as we do today with terms like “sunset”. This alone should silence skeptics who crow about the Galileo controversy. This is somewhat analogous to “you grew in my tummy”. But if evolution were true, then Genesis would be like “a stork brought you”. When Jesus told his disciples about the good samaritan, he was also telling truth, albeit in an allegorical framework. But as pointed out in Ch. 1, God wrote the Bible to teach (2 Timothy 3:15–17), so He wrote to be understood. Scripture would have no ability to communicate if words didn’t mean the same to God and man. A reductio AD absurdum of this idea is to consider any other word in Scripture. Perhaps what God meant by ‘steal’ or ‘murder’ in the Decalogue isn’t what man means either? After all, this was a ‘special case’ where God wrote with His own finger. And since Jesus is God and He was in the grave for three days, were these days not literal either? This whole approach is existentialist nonsense. but never does anything as crass as to describe God’s literal timetable for the creation of the world. More prejudicial language. Yet Moses used this “crass literal timetable” as the basis for the Fourth Commandment. Or were the Israelites really meant to work for six million years and rest for one million years? But it is implicit. Matthew 13:10–16, Mark 4:11–12 and Luke 8:10 explain why Jesus spoke in parables—to hide the truth from the unbelieving masses. Jesus quoted Isaiah 6:9–10, which prophesied that the Messiah would speak to the Jewish people in such a way that they could hear but not understand. Jesus spoke in parables after the religious leaders accused him of casting out demons by the power of Beelzebub (Matthew 12, Mark 3). But these passages also explain that Jesus spoke plainly to His disciples, and He also explained the parables to them to illustrate truth. Luke 10, which records the Good Samaritan, occurred after Matthew 12,1 so it is in the period where He was speaking in parables to outsiders. Note also that the parables don’t name actual people. Conversely, Genesis has the literary structure of Hebrew historical narrative, as we have often explained. The Scripture is God’s Word to man, designed to teach us (2 Timothy 3:15–17), so He wants us to understand Him, as also explained in 2 Corinthians 4:2 and Proverbs 8:8–9, as I’ve explained to another post-modernist. Yet if you’re right, most of the church has misunderstood God for 1800 years. so there is no reason while God would when telling the parable to Moses (this is an argument that often comes up when talking to creationists about this). The rest of the Bible takes Genesis as history, not parable. So too did most biblical scholars before the rise of long-age geology accept Genesis as written, including Josephus and later Jewish scholars, most church fathers including Basil the Great, medieval apologists like Thomas Aquinas, and all the Reformers including Luther and Calvin. Yet the rest of the Bible takes Genesis as history, not parable. So too did most biblical scholars before the rise of long-age geology accept Genesis as written, including Josephus and later Jewish scholars, most church fathers including Basil the Great, medieval apologists like Thomas Aquinas, and all the Reformers including Luther and Calvin. If you continue your study of this website you will see this pointed out many times, including in articles like Church of England apologises to Darwin: Anglican Church’s neo-Chamberlainite appeasement of secularism. If the parlous state of the national church in your own country is cause for concern for you, then please think further, lest you repeat its mistakes. I would also be very interested to know what you think about my allegation that a creationist viewpoint (and more to the point, a vocal creationist viewpoint as demonstrated by this site) is detrimental to evangelism. What one believes about origins is a significant component of an overall worldview. 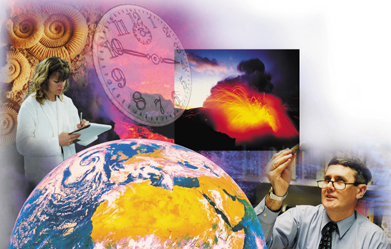 … Following the apologetics course, which was taught from a young-earth creation perspective, a large number of students showed a much stronger creation worldview. In particular, the number of students in the ‘conservative biblical theism’ category doubled from 64 to 128 (out of 195 students in the study). These results demonstrate the importance and the clear impact of teaching students from a young-earth creation perspective. Once again, apologies for the harsh tone in places. Oh well, of course. Harsh comments to biblical creationists are allowed. But I’ve noticed before that riposte from biblical creationists can bring out the mimophantic2 nature of our critics, as well as the WFJs (Wimps For Jesus), who seem unaware of Jesus’ skill at challenge-riposte (see also a previous feedback CMI slammed over Singapore slammer). I truly do love you all as my brothers and sisters in Christ. How do you reconcile strata layers, tree rings, carbon dating (of all kinds), half life measurements of various elements with the idea of a young earth? Uranium turns into granite after it has released all of its radioactive properties. The rate at which it becomes granite is constant and well documented. In this process heat is a natural biproduct. If the earth is only 6000 years old then the heat release for all of that uranium to have turned to granite would mean that our planet would be a miniature sun. How do you reconcile this? Why would God leave all this false evidence behind. Is he a god of deception? Is he setting us up for failure (like he did Adam and Eve)? We think you will be able to find answers to many of your scientific questions about the age of things on this site, e.g. How can many fine layers of rock be formed very quickly? You might like to start by learning some elementary facts about radioactive decay. Uranium decays into lead, via radium, radon etc. Granite is a rock comprising several minerals that have nothing to do with uranium, which is only a trace impurity. Once again, we are reminded of evolutionist Gordy Slack agreeing that “some proponents of evolution are blind followers”. We can see that you, too, have a strong emotional commitment to this issue, judging by your email and your email address (involving “against religion”, oblivious to the strong religious nature of his own atheistic faith). It is not simply a matter of evidence, because the Bible says that there is plenty of evidence for the reality of God’s power and nature in the world around us. It is a matter of heart. Again, the Bible says that people tend to willfully suppress the truth. So, our starting point is not the evidence, but our attitude. We would encourage you to be more open in your attitude toward God. Don’t be so upset and hateful toward him but be more open to find the truth about God and His purpose for your life. No, he is not a ‘God of deception’. You deceive yourself by ignoring his clear propositional revelation in Scripture and instead accepting mere circumstantial evidence to the contrary. To answer your question about whether God deceives: no, he is not a “God of deception”. You deceive yourself by ignoring his clear propositional revelation in Scripture and instead accepting mere circumstantial evidence to the contrary. See The Parable of the Candle for an illustration. God most definitely did NOT set up Adam and Eve for failure; rather, He set them up for success. He gave them each a land of plenty, easy work, no pains or diseases, and they had the most compatible, intelligent and physically attractive spouses ever, and only one prohibition to obey: refraining from just one of the fruits out of the many delicious ones available. And they failed to obey that one easy requirement. A police officer who leaves a bale of marijuana in the street and orders people who see him do it not to touch it or smoke it is not engaged in entrapment. On the other hand, “If the accused is found to be predisposed, the defense of entrapment may not prevail.” Thus, “sting” operations are not considered to be entrapment. So which of these fits the Garden situation? The first one does, but of course we would never see any police officer do such a thing anyway! Some might see the second as what actually happened, but they would have a hard time justifying that, unless they could prove that God made the Tree of Knowledge thoroughly irresistible, or Himself encouraged them to disobey His command, and we have no indication that that is the case. In fact, if ANYONE is guilty of entrapment in the story, it’s the serpent! Is Genesis poetry / figurative a theological argument (polemic) and thus not history? A.T. Robertson, A Harmony of the Gospels, Harper San Francisco, 1922. Return to text. Writer Arthur Koestler (1905–1983) coined the term mimophant to describe Bobby Fischer (1943–2008), world chess champion 1972–1975, hypersensitive at what he perceives as scorn against himself (i.e. as vulnerable as a mimosa, which droops at the slightest touch), but blind to the scorn with which he treats others (i.e. as thick-skinned as an elephant). Return to text.